The night before my get together with friends, I almost panicked because my gifts were still unwrapped. To make matters worse, I had nothing to wrap the gifts with. Good thing my creative juices were flowing like crazy so I made do with what I have at home. These are cute nail clippers I got from Gift Gate SM North Edsa. I thought of giving away Hello Kitty lip gloss but I instantly changed my mind when I saw these. Aside from being cute it's also functional and is guaranteed to be a good kikay kit stuffer. So this post is obviously a do-it-yourself (DIY) entry and my own version of Art Attack. 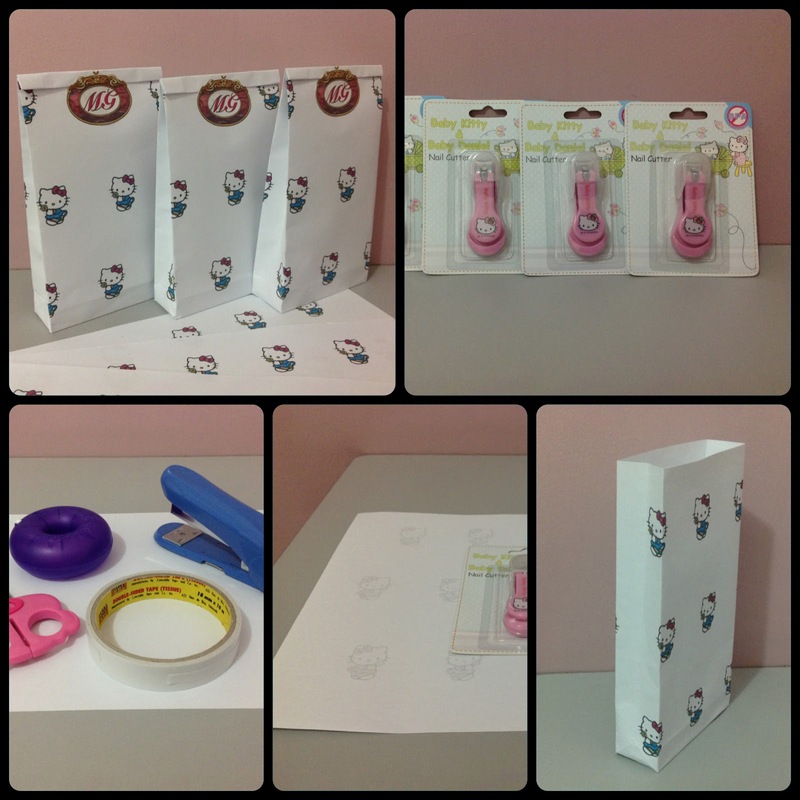 I made use of bond paper, scissors, transparent tape, double sided tape and a stapler. First thing you need to think of is the theme or the occasion. Since I got Hello Kitty stuff, I decided on making Hello Kitty wrappers. I just googled the images, copied and pasted them using Microsoft Word and here's how they turned out. 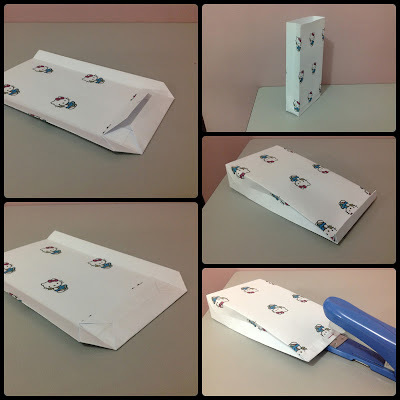 To make small gift bags, start by folding both sides of the paper making them overlap by half an inch. 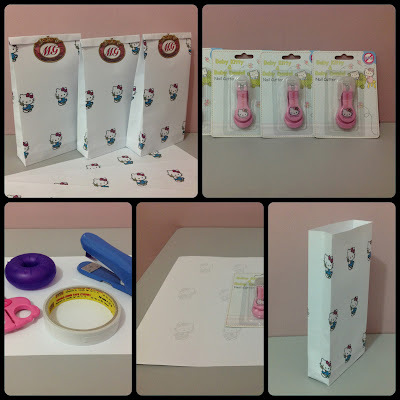 Stick the edges together using a double sided tape or glue. Fold the bottom by an inch then spread the edges to make 2 triangular folds on either sides of the paper. 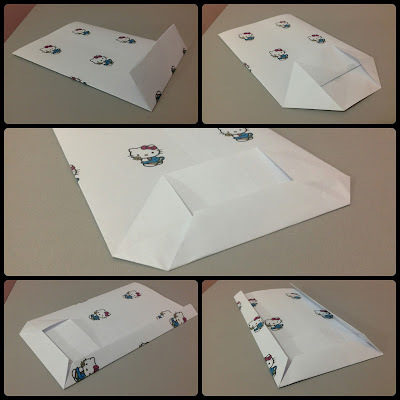 Fold the bottom sheet by at least more than half an inch then fold both sides of the paper such that the edges fit perfectly. 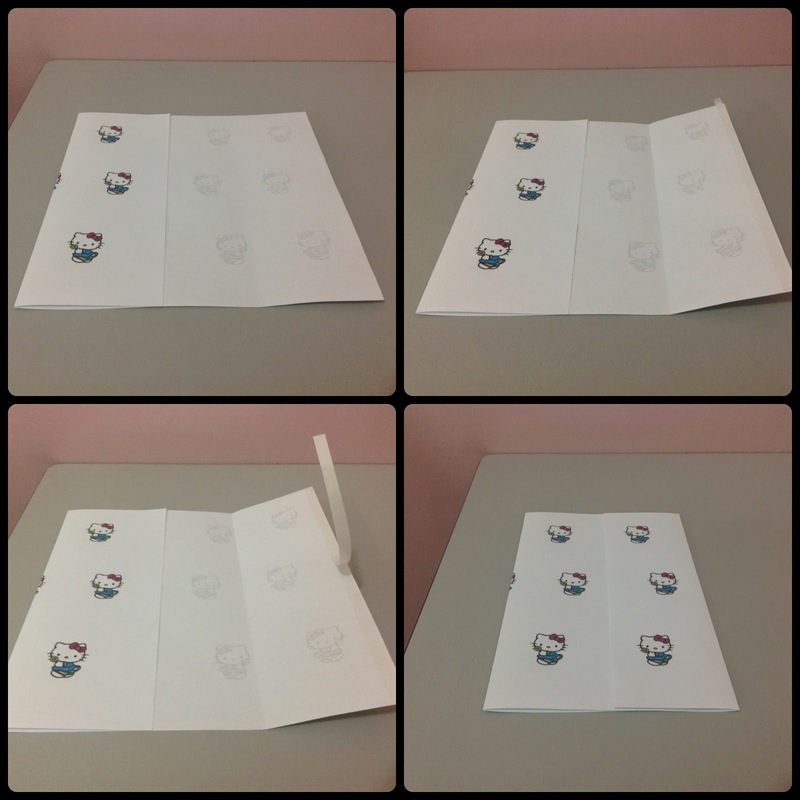 Fold the upper sheet and appose with the lower sheet using a transparent tape. 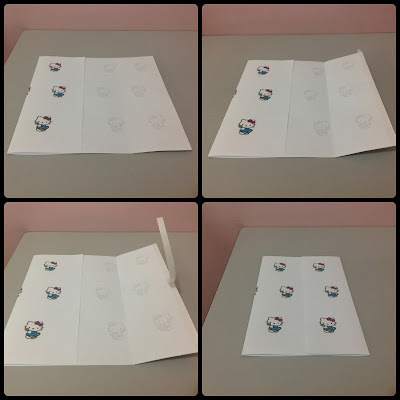 Put in the gift item and seal the top with a stapler and overlap with a sticker or greeting card. Here they are, all wrapped and ready to be given away. By the time this is posted, I've already given them to my beloved friends. I hope they like it as much as I do and give it a space in their kikay kits. try wrapping your gifts with these easy steps and make your loved ones feel extra special on every occasion.